Azienda Agricola Campochiarenti is a boutique winery of Tuscany that is located in the province of Siena in the surrounding of San Gimignano. Campochiarenti is a strategic place along the old road that was the connection between San Gimignano and Firenze (Florence), so it had a valuable importance in the story of this area. The first historic references about Campochiarenti are around the 10th century, when was built the famous church of Saint Nicholas, that is still one of the buildings of the estate. All the estate proprieties have a big historic relevance, so it is forbidden to use eco-technologies on the buildings or on the ground, in order to maintain the same harmonic view that is unchanged century after century. 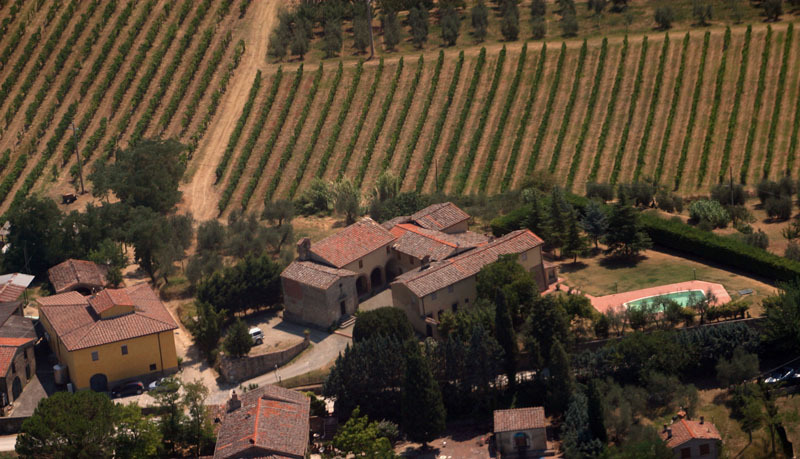 The estate is 50 hectares large (124 acres), composed by forest, arable land, olives trees, vineyards. All the agricultural works are done following the old local traditions, with a special focus on the soil and the fruits farming.